Unfortunately, due to rights issues, these are only available in the UK. The previous versions, narrated by Michael Page, are the only editions available in the US. 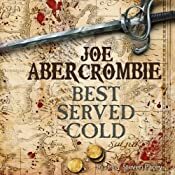 There are 1 Comments to "Abercrombie Books Re-published"
Just had to come to your website and write I note letting you know what an awesome job you did narrating the first law trilogy – really it’s the best i’ve ever heard – you gave such amazing life to the characters! EPIC! 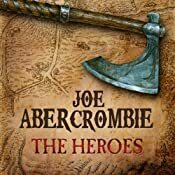 I must say that I was quite devastated when I discovered that someone else had narrated the two standalone books. It’s a wonderful surprise to now learn that you did as well! Gotta find a way to import them to the states, thanks a bunch and please keep up the awesome work! !